Born and raised in Staten Island, Greg Rikaart never expected to be a successful, award-winning actor. Although acting was a bug Rikaart caught early in life, he did not decide to pursue his passion until graduating from Villanova University in Pennsylvania, when he took the plunge and moved to sunny California. But the acting game was a tough nut to crack, and Rikaart found himself waiting tables for three years and finding only small parts until he finally landed the role of David on DAWSON’S CREEK. After that, Rikaart could afford to quit his day job and focus on acting. He landed several film roles, including Prey for Rock & Roll, Fake Stacy and X2. 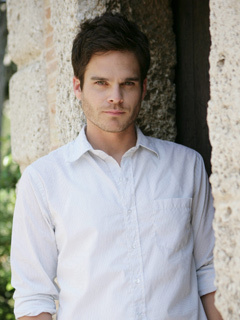 Already no stranger to prime time, Rikaart took the world of daytime by storm when he took on the part of Kevin Fisher on YOUNG AND RESTLESS in 2003. As a bad boy, Rikaart was surprised to find that far from hating him for his character’s evil ways, fans loved him! Graduated with honors from Villanova University. Favorite singer is Billy Joel and his favorite Joel song is "Vienna." While in college, he spent a semester interning for a congressman on Capitol Hill. Rikaart enjoys mountain biking, hiking, yoga and watching movies. He has two cats, Zoie and Garb. Exclusive! Greg Rikaart Returning To Y&R!